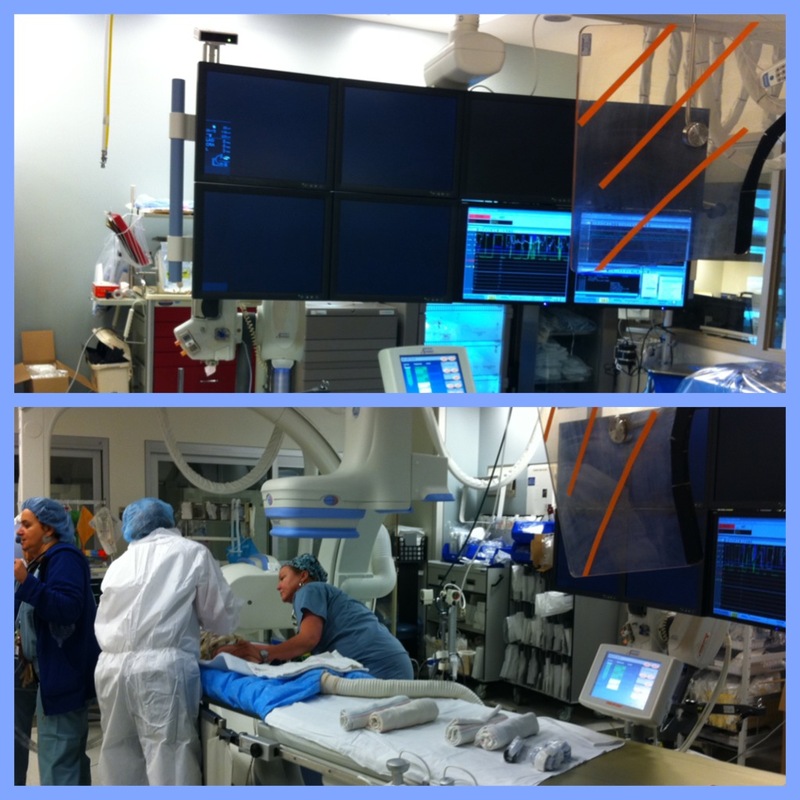 The big kids wanted to know what the cath lab looks like. Here you go. I’m always in awe of this place. It’s amazing what they can do in here. thanks for all the posts and pictures this morning. some amazing smiles for such an early start. you are in our thoughts and prayers! We’re thinking of you guys and praying for Rudy today!! Caths are the hardest procedure because you never know what’s going on in their little hearts. I’m always so anxious for answers when they come out of there. They need some Rudy Rolls in the Cath Lab! Oh my! Our little guy is being poked and prodded again! I wish I could do it for him. I am checking in on the post many times. This helps so much to have quick communication. Love and prayers for all. Trish and Rolf: Deep breath, deep breath. Wow! Are the other kids with you?